Bring some money for BBQ and refreshments. 50% discount on full and family membership (50% ) for the 1st year if you decide to join. 10% off any sailing courses booked on the day when signing up as Members. Under 8’s must be accompanied in dinghies by parents. 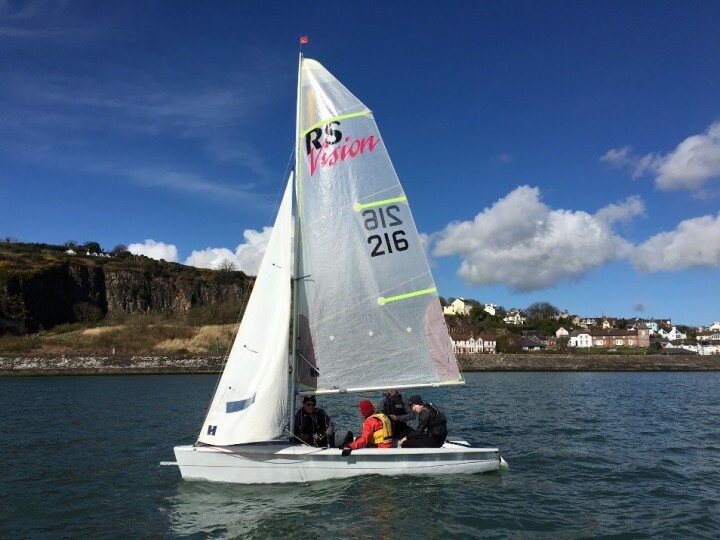 County Antrim Yacht Club hold a taster day each year for complete beginners. Get to try sailing, kayaking and coastal rowing on a short 20 -30 minute session guided by one of our members. On shore, you will be shown around the club and given information on the club activities that take place throughout the year. There will also be face painting for the young, refreshments from a BBQ, tea / coffee / juice and the club bar will also be open. You will also be given the opportunity to sign up to places on future sailing, kayak or rowing courses. First year membership (from Jan – Dec) for Family and Adult members is offered with 50% off in the first year. We are primarily interested in attracting families and adults (particularly females) to encourage into the sport of sailing. A registration form will be sent to complete prior to the event. Dinghies, coastal rowing craft and kayaks. Safety RIBs provided, that will also offer transport to and from some dinghies. 3.5 hours are split into approx. 15 -30 min sessions. Dependant on the number of participants. Wetsuit and trainers or similar and outer windproof layer is most useful. If you don’t own a wetsuit, a change of clothes and towel if you get wet. The club offers showers and changing rooms. Buoyancy aids are provided. If visitors own one, it is best they wear their own fitted aid. Age 8 – 80… if younger children, they can be taken if there is a suitable buoyancy aid available that fits and must be accompanied by a parent. Medical conditions need to be declared on a form at registration. Everyone must register either pre-event or on the day.